Partnerships and product launches are featured at the intersection of hospitality and technology in this edition of Modern Restaurant Management (MRM) magazine’s #RestaurantTech column. To submit items, contact Barbara Castiglia at bcastiglia@modernrestaurantmanagement.com. Toast announced a partnership and integration between its Restaurant POS and PeachWorks. Together, Toast and PeachWorks will provide restaurant operators with scheduling and inventory capabilities designed to empower restaurants – from SMB to enterprise – with a seamless back-of-the-house experience. PeachWorks has a complete suite of integrated apps that puts users in control of every key aspect of the back-office, taking the guesswork out of restaurant management. PeachWorks Scheduling allows staff members to view schedules, trade shifts, and manage availability requests over the internet, email, or via mobile text. PeachWorks Inventory combines the simplicity of managing inventory on a spreadsheet with the power of a fully integrated, mobile, cloud-based solution. Toast offers advanced functionality to manage the day-to-day operations of the restaurant, including quick menu modifications, real-time enterprise reporting and labor management on an easy-to-use interface. The platform also features revenue-driving tools including physical and digital gift cards, loyalty programs and online ordering. For additional information, click here. Punchh announced that Apple Pay users visiting participating restaurants will soon be able to not only pay for their purchases, but earn and redeem rewards and loyalty points using Apple Wallet. Punchh’s Restaurant Marketing Cloud™ is the first platform that bridges the gap between restaurants and customers, empowering restaurants to shape personalized offers that attract and engage more meaningfully with loyal customers. Punchh’s clients include more than 85 leading restaurant chains such as Coffee Bean & Tea Leaf, El Pollo Loco, Moe’s Southwest Grill, Pieology, Quiznos, and Smashburger. Punchh modernizes customer engagement programs within weeks, offering the ability to segment customers, predict customer behavior, create and execute targeted campaigns, and track performance in real-time. Restaurant interactions include loyalty, ordering, payments, offers, feedback, surveys, games, and gift cards. Brands including Smashburger, Quiznos, and MOD Pizza will be offering Apple Pay with the Punchh integrated solution starting later this year. For participating restaurant brands, Apple Pay users will be prompted at checkout to add the restaurant’s loyalty program to their Apple Wallet. Once added, customers will automatically begin earning points and receiving specialized offers, which can be redeemed during future visits. Restaurant brands using the integrated solution will be able to match customers who have opted in to their loyalty program with their payments and receipts, know which menu items they purchased, and incentivize them to use Apple Pay. Security and privacy is at the core of Apple Pay. When a credit or debit card is used with Apple Pay, the actual card numbers are not stored on the device, nor on Apple servers. Instead, a unique Device Account Number is assigned, encrypted and securely stored in the Secure Element on the user’s device. Each transaction is authorized with a onetime unique dynamic security code. Ziosk and Jimmy Buffett’s Margaritaville Restaurants, part of International Meal Company, have partnered to bring tabletop tablets to Margaritaville Restaurant locations. Under the partnership, Margaritaville Restaurant guests will enjoy the convenience of self-ordering and payment security at the table through Ziosk’s Europay MasterCard Visa (EMV) and Point-to-Point Encryption (P2PE). P2PE technology helps to ensure sensitive credit card data is protected from first card swipe, while in transit, all the way to payment providers. The Ziosk will also help the restaurant group collect an unprecedented volume and quality of survey insights to better understand the voice of the guest. The Ziosk post-dining survey allows guests to provide real-time feedback on their dining experience and these insights provide a deep understanding of the sales and service behaviors of the servers. Margaritaville Restaurants will also be able to leverage talent management solutions through the Ziosk to better determine training needs and to identify and recognize top performing staff members. The Ziosk 7-inch tablet will be displayed on each table, enabling diners to interactively explore menu items and specials as well as order appetizers, beverages and desserts without having to wait for their server. Additionally, guests can participate in a variety of entertainment activities including trivia and games, all designed to enhance a communal experience at the table. Commanding 95 percent market share in the deployed tabletop tablet space, Ziosk tablets are currently in more than 3,000 restaurants across all 50 states. Ziosk has over 170,000 tablets interacting with more than 50 million guests per month. Uncle Maddio’s Pizza has deployed PAR’s cloud-based Brink POS® Software and EverServ® 500 and 550 terminals for 50 locations, with plans to expand locations. Uncle Maddio’s Pizza is a category leader of the create-your-own, fast casual pizza restaurants. The restaurant’s unique fast bake ovens offer the most throughput in the industry and can produce 200 pizzas per hour. Uncle Maddio’s Pizza has a robust site growth plan and was looking for a solution that could support their development. With a set of technology constraints that they were experiencing, Uncle Maddio’s Pizza needed a POS that offered better credit card processing, gift card capabilities, loyalty program integration, and more resourceful report and data functionalities. RDS, a value-added reseller, facilitated the process to identify the best solution for their needs. Since deploying Brink, Uncle Maddio’s Pizza has been able to implement online ordering, integrate their loyalty program and third-party delivery platforms. It has proven to be a good hub for other revenue streams for the business. “We are pleased to be a part of this exceptional partnership with Uncle Maddio’s and PAR. A truly seamless integration of technologies is possible when the right team is assembled. This project was not focused only on POS terminals, but on streamlining processes to gain maximum efficiencies across the board,” said Walt Davis, General Manager, Retail Data Systems. Restorando and TripAdvisor announced an agreement integrating Restorando’s restaurant network into the TripAdvisor desktop website, mobile website and mobile app experiences. Through the Restorando integration, TripAdvisor will facilitate reservations for diners in seven Latin American countries including Argentina, Chile, Colombia, Mexico, Panama, Peru and Uruguay. Restorando works with over 5,000 restaurants and has seated 20 million diners to date across the Latin American region. 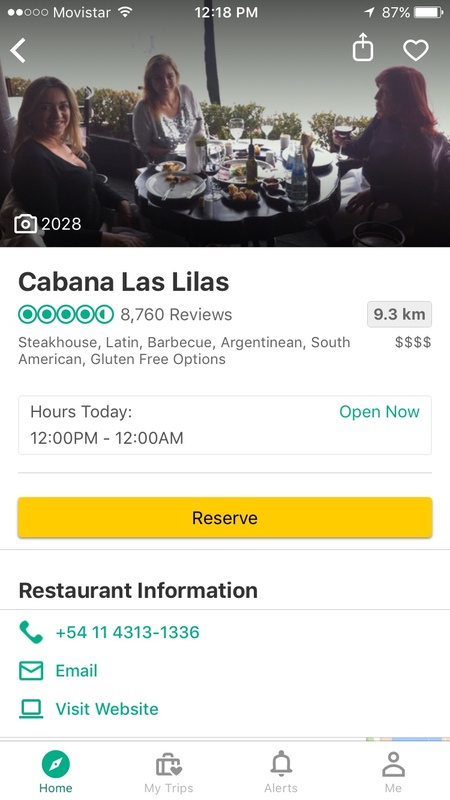 Consumers browsing TripAdvisor restaurant listings now have the option to reserve a table online at thousands of popular restaurants in Latin American cities such as Buenos Aires, Mexico City and Bogota, among others. By clicking the “Reserve” button, consumers are brought to Restorando’s online or mobile platforms to quickly and easily book a table. Terms and length of the agreement will not be disclosed. ExCeL London Hospitality, the official catering partner for ExCeL London, is working with technology provider Preoday to offer mobile and online ordering of food for exhibitors at the venue. Exhibitors will be able to get food and drink at a convenient time, thus improving their overall experience. Exhibitors at ExCeL London will now be able to order their food and drink from eateries on the venue’s central boulevard, and have it delivered directly to their stand, so that they don’t have to miss precious moments waiting in the lunch queue. Users simply download the ExCeL London app from the App Store or Google Play, then choose what they would like to order and pay – all in a matter of minutes. The service will launch at the Protection & Management Series taking place at ExCeL on the 22nd June. Future developments of the service will include collection options for visitors. 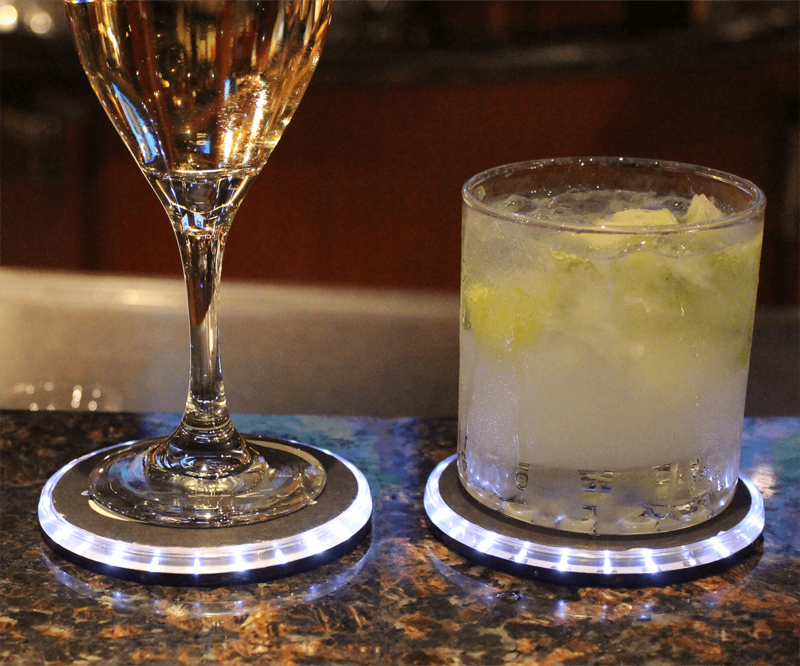 New Potato Technologies, Inc., launched Brio, a smart coaster that pairs an interactive app and drink safety technology to enhance a user’s social drinking experience. The bar has been raised in the realm of cool drinking technology. Designed to bring people together in social settings while adding an extra layer of defense from drink tampering, the Brio Smart Coaster is now available for purchase for $39.99. Conveniently sized to fit into a purse or back pocket, the Brio Smart Coaster can be taken to restaurants, bars, or any nightlife establishment to spark new connections and provide a source of entertainment; all while helping the user keep track of his or her beverage. Brio features 24 bright white LED lights that illuminate in unique patterns, and comes with coaster inserts that express a user’s personality. Additional inserts, including custom-designed coasters, can be purchased separately. Brio Actions: Brio can perform a multitude of actions with a simple tap, including “Find my Brio,” which allows users to locate their drink. Other games and customized light functions are also available. Sandy Alexander announced Dinetec as the newest company to become part of the Sandy family. Dinetec, headquartered in Orlando, FL, is led by John Glick and specializes in the development and implementation of technologies tailored for the restaurant industry and their guests. Dinetec’s platform offers guest facing innovations, data management, dynamic workflows, menu programs, compliance and mobile and Wi-Fi integration, providing solutions to key markets such as casual dining, fast casual and quick serve. Sandy Alexander’s resources combined with Dinetec will create a new holistic vertical to serve the restaurant industry and their guests. Health Freak Café upgraded to Naranga’s franchise management software to assist with the onboarding of new franchisees, central operations and secure employee training. Based out of Western Australia, Health Freak Café has focused on providing diners with healthy food options for everyone, including individuals with specific dietary needs. As the number of locations increase, Health Freak Café has turned to Naranga’s central operations software to manage and support their complete network of franchisee locations. Easy-to-use mobile accessibility will allow them to efficiently communicate across all locations, while measuring key performance metrics. In addition, Health Freak Café has also switched to Naranga for online employee training capabilities. With this solution, Health Freak Café will provide secure video training to each location with follow up quizzes and dashboard reporting to ensure employee comprehension. “Partnering with Health Freak Café in Australia is another milestone for Naranga’s international expansion. We are honored that they chose us and we are committed to providing them with the same superior service as we do with our clients here in North America,” said George Duffield, VP of Enterprise Sales at Naranga. The PDQ restaurant brand entered into a multi-year agreement with LogicSource®. As part of the agreement, LogicSource® will provide the fast-casual chain with sourcing and procurement management for all of PDQ’s new standalone store construction as well as existing facility repair and maintenance. Dinova, Inc. was recognized at the Association for Corporate Growth® (ACG) annual Atlanta Chapter Georgia Fast 40 Awards Gala.The ACG is a global professional organization with the mission of Driving Middle-Market Growth®. Applicants were required to submit three years of verifiable revenue and employment growth records, which were validated by national accounting firm and founding Diamond sponsor, Cherry Bekaert LLP. An ACG Selection Committee evaluated each application and conducted in-person interviews with all qualified applicants. All companies on the list are for-profit, headquartered in Georgia and reported 2016 annual revenues ranging from $15 to $500 million. SICOM CFO, Michael Schaffer has been honored with the Philadelphia Business Journal’s CFO of the Year Award for his outstanding performance as a financial steward. Schaffer joined SICOM in May 2016 and has brought a diverse background in operational finance along with process improvement from 25+ years of experience within Fortune 100 public companies, privately held companies, and private equity portfolio companies. He came to SICOM from global digital signage software company, Scala, Inc., where he was CFO and COO. He brings to SICOM expertise in financial management, treasury operations, information systems, mergers and acquisitions, and strategic planning. Schaffer is a graduate of Bucknell University with a B.A. in economics and mathematics, and earned an Executive M.B.A. through the GE Financial Management Program. Schaffer will be honored at a ceremony on July 13th at the Crystal Tea Room in Philadelphia. Cin7 announced the launch of the Cin7 App Store, allowing customers to quickly and easily set up and scale-up Cin7 to suit their business needs. The Cin7 App Store is a centralized, easy-to-navigate catalogue of the Cin7 core production, warehouse, POS and B2B capabilities plus 120-plus integrations to the popular accounting solutions, ecommerce platforms and marketplaces, retailers, logistics and shipping providers, and sales, marketing and payments applications that businesses use to efficiently sell their products..
With other inventory management software, customers may spend hours dealing with multiple vendor support teams to integrate third-party solutions, services, and trading partnerships. For EDI connections to big-box retailers, the process can take months. The Cin7 App Store lets users “click-and-connect” to activate the Cin7 integrations in minutes to seamlessly implement a real-time, full-view inventory and supply chain management solution. Cin7 gives customers actual stock levels and costs in real-time as they sell their products through their online and brick-and-mortar sales channels and as they fulfill orders from their warehouse and 3PL partners. 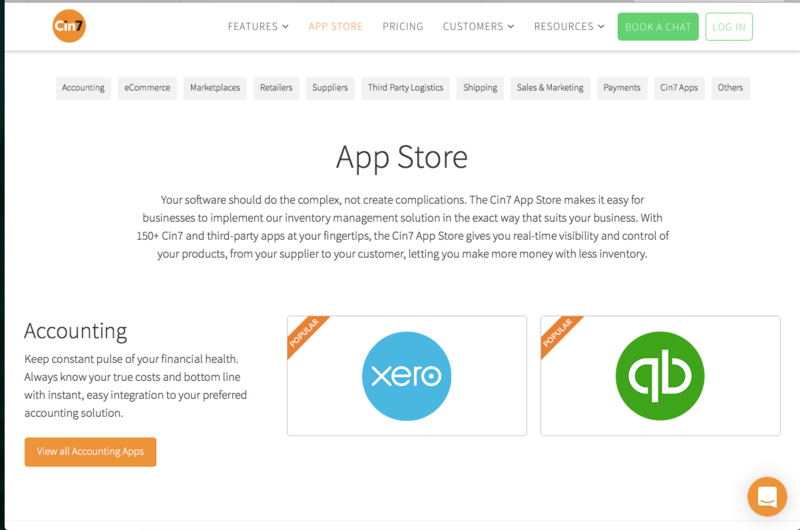 The Cin7 App Store makes it easy to extend that power to however they sell, store and ship their products. Freevo, a membership-based mobile app offering complimentary food and drinks throughout the city, launched in Chicago. The app, which began beta testing earlier this year, has since attained thousands of users and over 150 partner restaurants covering the greater Chicago area, including Sayat Nova (Streeterville), Mama Milano’s Pizza Bar (Old Town) and Milt’s Barbecue for the Perplexed (Lakeview). The Freevo team’s goal is to give locals a new reason to explore and support independent restaurants around Chicago. Membership costs $20 per year for unlimited usage and all food and drinks offered on the app are 100 percent complimentary on redemption. Freevo members get access to an easy-to-use mobile app for satisfying a coffee craving, grabbing breakfast or lunch with a co-worker, going out to dinner or finding a late-night snack. The app uses GPS to present members a variety of choices within their immediate vicinity, so no matter where someone is in Chicago, there are Freevo offers nearby. With Freevo there are no sneaky gimmicks, advertising, in-app purchases or exaggerated discounts, and the average member is saving over $8.50 per redemption. The Freevo app was designed to provide independent restaurants with the ability to offer members select menu items for free to draw in customers and drive earnings when they need it most. Beta testing has shown that the average Freevo member brings a friend or two along and buys more than just redeeming their complimentary item. In addition, after a positive dining experience using Freevo, members are more likely to become repeat customers. Restaurants are already reaping the benefits, including Chicago staple, The Original Gino’s East. Freevo was developed in partnership with Restaurant Depot LLC. Diversified Restaurant Group, LLC, a restaurant group that manages 150 Taco Bell restaurants in Northern California and Nevada, today announced a new payroll and accounting partnership with Delaget, LLC. “We reached the 150 store mark through acquisitions of larger franchise groups, and we want to continue to grow our restaurant portfolio. You can’t run – or grow – a company effectively with multiple different systems and processes. After an analysis, we determined that we needed to outsource our payroll and accounting to eliminate redundancies, make us more effective in running our current portfolio of stores, and help make us nimbler and more competitive for future acquisitions,” said Erich Moxley, SVP and Franchisee at Diversified Restaurant Group, LLC. Diversified Restaurant Group is leveraging Delaget Books, a time-saving payroll and accounting service focused on multi-unit operators. With Delaget Books, franchise owners save time by having Delaget experts process accounts payable and receivable, daily cash reports, P&Ls, payroll, and expense reports, and handle other accounting tasks. “We looked at several other competitors, and we found that Delaget was the right partner for us. We already trust Delaget for our restaurant reporting, their team has a deep understanding of the industry, and other outsourcing services didn’t have all the bells and whistles we were looking for. These reasons made it a much easier decision to outsource,” said Erich. Outsourcing will also allow Erich and the team at Diversified to focus what really matters to their business. “Instead of spending time managing numerous vendors, invoices, and other payroll and accounting functions, outsourcing will allow us to focus on developing our business, acquiring and building stores, and working with our middle and store level management teams to run a more efficient operation,” said Erich. “I didn’t become a franchisee to run a payroll company or CPA firm. I became a franchisee because I want to run restaurants,” he added. “At Delaget, our mission is to help restauranteurs run smarter, more profitable restaurants. By outsourcing payroll and accounting, the team at Diversified will have more time to focus on strategic initiatives and growing their business. We’re excited to partner with them and help them make their growth easier,” said Jason Tober, Delaget CEO. Tandem Theory was awarded the digital redesign and deployment of the Taco Bueno website this spring. The site, developed with the consumer in mind, was built to be responsive for on-the-go customers, to highlight Taco Bueno’s new offerings and support increased web traffic. Ignite is the newest foodservice industry intelligence platform crafted by Chicago-based market research and consulting firm Technomic Inc. Designed to provide foodservice leaders with a 360-degree industry view, this integrated search engine offers all-inclusive data and analysis on tailored information searches, delivered seamlessly and rapidly through Microsoft, PowerPoint or mobile APIs to cater to users’ busy on-the-go lifestyles. The operator, consumer and financial intelligence housed in Ignite provide insights into micro and macro trends shaping the industry. Data sources include menus representing over 275,000 locations updated quarterly, as well as reports on 140,000 consumer foodservice visits each year to identify product opportunities across consumer sets. In addition, Ignite’s library houses over 800 data reports that are continuously updated to share and support development recommendations. Ignite elevates users’ knowledge of their customer base, competitive set and larger industry to support product development and identify gaps that represent areas of opportunity. “It is designed to be the independent resource to help foodservice leaders across commercial, noncommercial and retail sectors support business decisions with facts and insights,” says Patrick Noone, executive vice president at Technomic. Engaging in predictive capabilities to identify the next big flavors and ingredients. Following industry disruptors through ongoing news tracking and analysis reports. Understanding consumer decisions along the path to purchase. Distinguishing the competition and identifying lost business based on the consumer consideration set. Recognizing eater and operator archetypes and the associated behaviors of these groups. Using social listening to analyze brand mention and engage with influencers. OCEASOFT, released OCEAlert™, a new solution that enhances cold-chain monitoring and drastically helps reduce the risk of product loss. The real-time alert generation solution offers a high level of protection for sensitive and perishable products. OCEASOFT designed and developed OCEAlert™ in cooperation with one of the world’s leading experts in information generation systems. The demand for enhanced monitoring during product transit or storage continues to rise in the pharmaceutical industry, and healthcare, agri-food, transportation, and logistics sectors. It is critical for managers in charge of sensitive products to be alerted quickly to take action in case of unexpected situations. When alarm conditions are detected and reported by OCEASOFT dataloggers, OCEAlert™ sends alerts via text or voice message to a configured list of phone numbers, any time of day or night. Users receive clear and timely information regarding the cause and location of the anomaly. When a notification message is received, the user can acknowledge receipt of the alert directly from their mobile device and take appropriate action to address the problem. This new offering is compatible with OCEASOFT’s existing range of Cobalt™, Emerald™, and Atlas™* dataloggers, as well as its future products. Without any hardware installation, OCEAlert™ can be deployed rapidly across any organization, ensuring high availability through a robust and secure implementation. Old school poutine culture meets high tech convenience as the legendary Smoke’s Poutinerie joins forces with SkipTheDishes. Today, the power of poutine on-demand is in the palm of Canadians’ hands via their SkipTheDishes smartphone app. With SkipTheDishes, the world’s most advanced ordering and delivery technology, nothing can stand in the way of satisfying Canadian’s cravings for the mouth-watering, mind blowing, poutine concoctions Smoke’s Poutinerie is serving up as Canada celebrates 150 years! To mark the holiday, SkipTheDishes is offering free delivery for select Smoke’s Poutinerie restaurants across Canada until July 2. Look for delivery options at the following locations: Vancouver, Saskatoon, Winnipeg, Waterloo, Hamilton, Port Credit, Barrie, Oshawa, Ajax, and Ottawa, with the remaining locations to roll-out in the coming months. The ProAV MyBeam™ from Comhear is a compact, programmable, internally amplified line array loudspeaker in a minimal visual profile. It employs twelve 1” range dome drivers in a self-amplified DSP-driven line array to project one or more customizable beams of audio. If horizontally mounted, each beam provides wide vertical and steerable narrow horizontal dispersion that is ideal for targeted announcement, limited dispersion music, private beaming, sound masking, etc. wherever highly articulated control of sound is essential. The ProAV MyBeam™ speaker is easy to install and set up, and has a slim profile with mounting points on the back and sides of the array. The speaker is perfect for digital signage applications, kiosks and ATMs, museum displays, and lobbies and other venues that need 3D audio. CurbStand, the cashless valet app that allows users to seamlessly locate, pay, tip and request their cars for valet parking from their mobile device, has officially named co-founder Arya Alexander as its Chief Executive Officer. Alexander took the wheel at CurbStand as the Interim CEO in March 2016, following the departure of Serge Gojkovich. Since his appointment as Interim CEO, Alexander has increased revenue more than 300 percent and has taken the company to a cash flow positive position by refocusing the valet app into a full parking business. “By vertically integrating with the parking operation, we’re better able to control the customer experience from end to end. We’re also able to reduce our costs by taking on the leasing agreements, which has dramatically improved our unit economics making our stands more profitable and accessible,” said Alexander. CurbStand became a fully integrated valet service in March 2016 through a partnership with a local valet parking service with 20 restaurant accounts at the time, and has since added 50 other businesses to its portfolio including Republique, Yamashiro, H.Wood Group, JetSuiteX and 7 other airport accounts including Burbank Airport, Hawthorne Airport, and Las Vegas McCarran Airport.